We look forward to your stay with us! 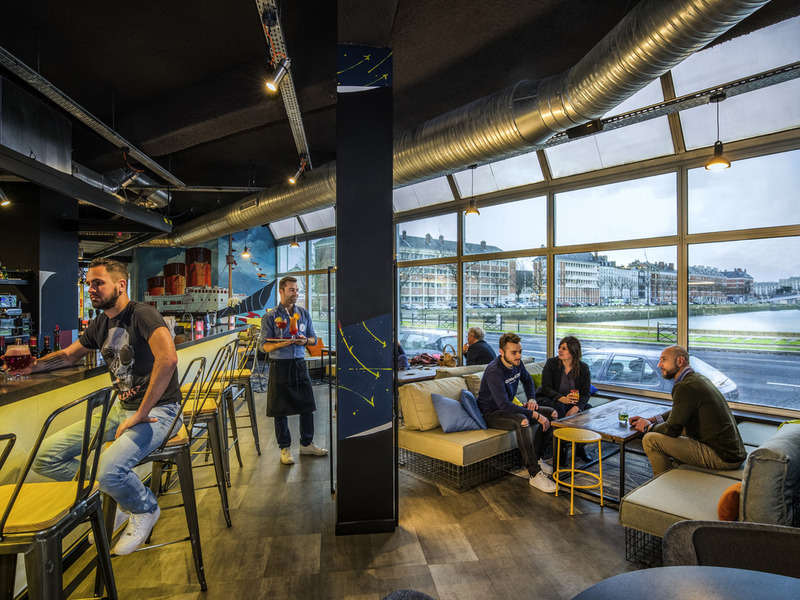 The Mercure hotel in Le Havre has assumed a new identity inspired by one of the unmistakable symbols of Le Havre: the containers. This subtle, contemporary transformation brings a welcoming, fun and stylish ambience to the hotel's communal areas. It is a new, unmissable location in Le Havre city center with a welcoming atmosphere perfect for those looking for a good time. Close to the beaches, the Malaux museum and the Cathedral of Le Havre, this Mercure is ideal for exploring our culture and for walking on the seafront. You can also explore the Perret architecture which is classified as a UNESCO World Heritage site. There are 3 types of rooms: the Elegance Room is perfect for 1 or 2 guests, the Junior Suite (517 sq. ft.) is ideal for families and the Privilege Room (517 sq. ft.) for couples or families enjoys a magnificent view of the Bassin du Commerce. The Sur les Quais restaurant and the Sextant bar are open for lunch and dinner and serve gourmet seasonal cuisine. Enjoy our terrace when the weather turns warm. Bar open every day during the week.